First, I must apologize. This has been a real adventure, trying to self-publish my new novella, but I'm getting there. I finally have something to show you. TA-DA!!! New book cover!! 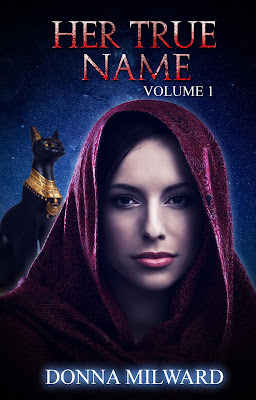 The novella is called HER TRUE NAME: VOLUME ONE, and yes, it's going to be series. My first! 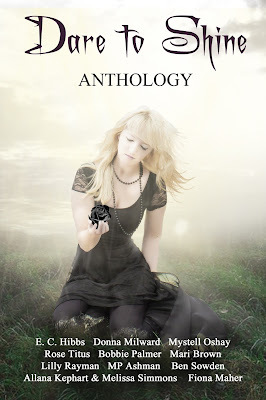 It is edited by Heather Savage of Staccato Publishing, and the cover is done by Anima Black. Publishing date? Uncertain, but certainly sometime this month. I hope! I'm doing this through Createspace, and will have information about it's availability soon. Sorry to say, I only plan to publish it as an e-book. It's only 25,000 words, so it doesn't look feasible to publish it in paper form. If anyone has questions, I'll be happy to answer them as best I can. In the meantime... Here is the back blurb. (Thanks Heather Savage for helping me write it.) And wish me luck! 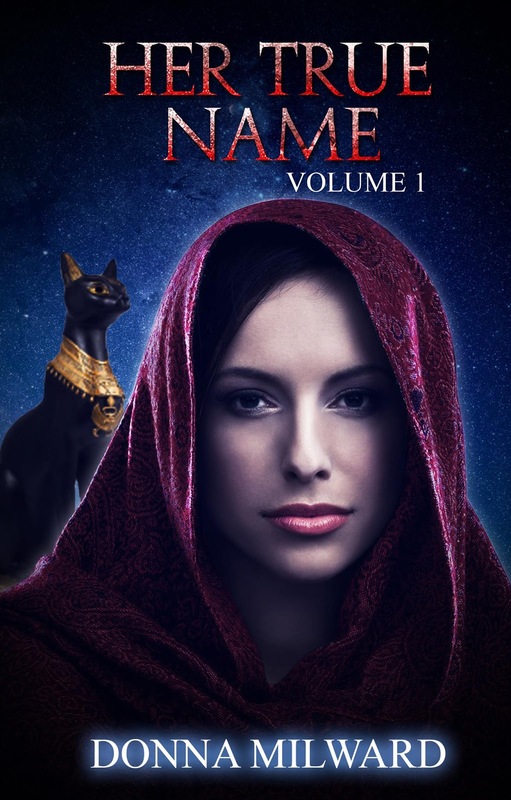 When Virtus dies in a demon attack, Sage defies the Energy and goes in search of his soul. She finds him on Earth, and sacrifices her immortality to join him. She will pursue him through every human incarnation, each lifetime, until they can return home to Eden, together. Finding each other is only the beginning. Theophrastus is a scholar and healer, come back to the village where he was raised. Salvia married a merchant, her greatest joy her three young boys. When Apophis, god of chaos, meddles in the affairs of humans no one is safe. Will they find love again? Or is survival their greater obstacle?"